New Brunswick Today, a hyper-local based in New Jersey, is proving that not all innovation in local news these days is digital. 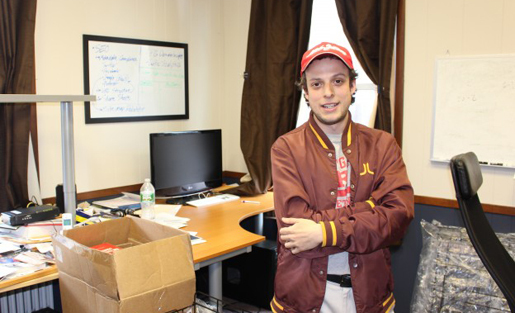 Charlie Kratovil and Sean Monahan initially launched their news operation in 2011 as a website, hoping to fill what they saw as a gap in local news coverage in the city that’s home to Rutgers University. 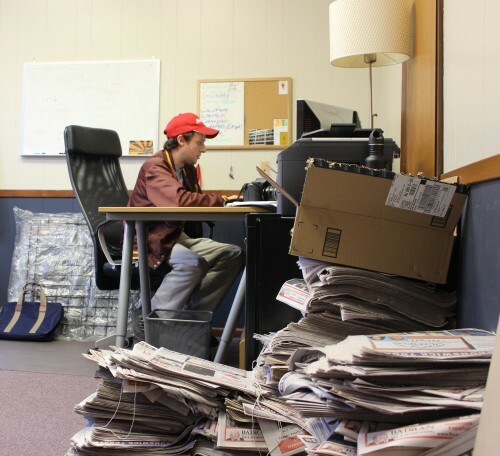 But in 2013 they decided to add a monthly print edition, bucking a trend in local journalism away from newsprint. “It’s the only way to reach everybody in New Brunswick. We get the students, we get the downtown crowd, we get the immigrants.” -Editor Charlie Kratovil. The two also decided to try something else new – translating stories from English into Spanish in both their web and print editions. “It’s been a huge hit. Huge,” says Kratovil, the editor in chief of the paper, and a Rutgers grad himself. 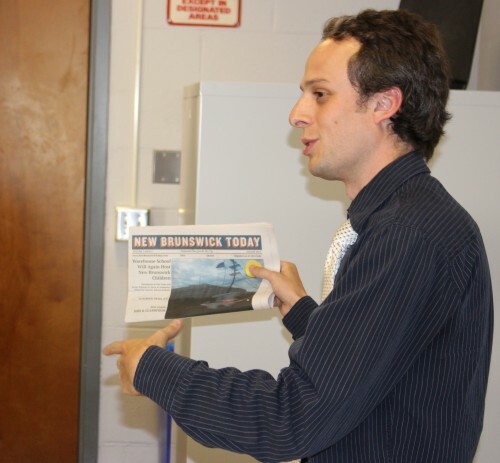 Driving the evolution of their website to bilingual newspaper was the existence of two distinct constituencies in the New Brunswick community: one is a digitally-oriented student body and set of city workers. The other is a large Latino immigrant community, some of whose members did not have access to the Internet, but were still interested in community news. And others who did not speak English. The website averages about 150,000 page views per month and their Facebook page has a lively and engaged audience with more than 14,500 followers. Kratovil is their most visible writer but they also have a revolving team of freelancers, many of whom are Rutgers students working for $20 a story and a chance to get published. The newspaper, which is free, is produced about once a month and features “the best of” the stories that have run online. They print 10,000 copies. Some are handed out by staffers in stores and cafes, the others get stacked in one of 12 newspaper boxes distributed throughout the area. The paper is 24 pages long with eight pages in color. If you read it from the front, it’s in English. If you read it from the back and flip it upside down, it’s in Spanish. Kratovil says they don’t manage to translate all their stories, but they’re gradually trying to increase the number available in Spanish. Initially, the quality of their translation, he admits, was a little substandard, but people from the community reached out to say they would help and they’ve since hired translators, improving the quality markedly. On the website, readers can opt to read an English story that has been translated by pressing an “En Espanol” button. And vice versa from Spanish to English. Kratovil, an old school watchdog reporter who’s not afraid to take on the local police and government, says there’s a lot of interest in what New Brunswick Today is doing, both in terms of their news coverage and their willingness to be innovative. They’ve lead the charge on what they say is a government coverup of water quality violations at the New Brunswick Water Utility. The town’s mayor, Jim Cahill, would not comment on New Brunswick Today and its coverage. Because of their devotion to investigative community journalism, they’ve received the backing of The Geraldine R. Dodge Foundation, a not-for-profit geared in part to supporting local news initiatives in New Jersey. Dodge funded the 12 newspaper boxes and helped them earlier this year with a fundraising initiative on Beacon Reader, a site that specializes in crowd sourcing for news organizations. So far the effort has raised more than $15,000, exceeding their goal for funds to hire more reporters, translators and equipment. The equipment will help them produce more videos for the website. The team is on the verge of rolling out a few new videos, mainly man-on-the-street interviews about local issues. They’re still experimenting with how to handle the bilingual factor, but for the moment each video will be offered in English with Spanish subtitles, and in Spanish with English subtitles. 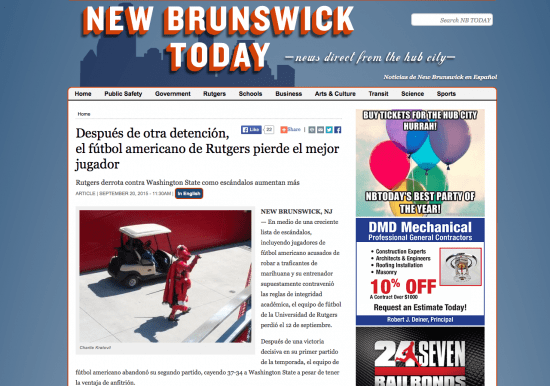 Kratovil says New Brunswick Today is the only bilingual web/newspaper news operation in New Jersey, and maybe even beyond. “No, I haven’t come across anything like us,” he said. Tara George is Associate Professor of Journalism at Montclair State University’s School of Communication and Media. She has spent more than a decade teaching journalism to undergraduates. A former New York Daily News reporter, she now specializes in issues in local journalism. Tweet her @journoprof.